A regular retirement income you can buy with your pension savings. It usually pays you an income for the rest of your life, although some pay for a shorter period. There’s a wide range of annuities available. You can shop around, using what’s known as the open market option – meaning you can contact different annuity providers for illustrations of how much income you could get. We don’t offer this type of product, so using your pension savings to buy an annuity from us when you retire isn’t an option. We can help you transfer to a company that does though – contact us when that times comes. An asset is something valuable that could be traded for money. It could be a house, a car, a savings account, or in terms of investments, it could be a bond, an insurance policy or stocks and shares. One of the ways we can invest your pension savings. It’s like a loan of your money to an organisation and they promise to pay you back in full, with interest payments along the way. 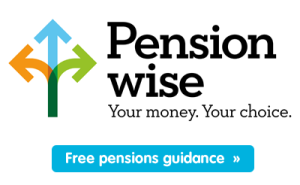 A kind of asset we can invest your pension savings in – it’s a bond issued by the UK government with a rate of interest. Which basically means it’s a way of loaning money to the government. Is the gradual increase in prices over the years. Rather than putting your money into a bank account, it buys investments like stocks and shares, which over the longer term have a better chance of making you more money. These terms are all different ways of describing part ownership of a company. When someone buys a share in a company, they become a part owner. If you own all the shares of one company you will own the entire company. Equities and stocks are simply other names for a share. So if a company has one million shares and each share is worth £1, the company will be valued at £1m. When you own a share in a company, you become entitled to a share in the profits that company makes. These payments of profits are called dividend payments. So if in the example above that company makes £100,000 profit and decides to pay this out to shareholders as a dividend payment, the share owners would receive £1000 for each share they own. This refers to the risk or uncertainty in the value of an investment. Volatility refers to how stable the value of an investment is. So if the share price of a company moves up and down a lot it will be more volatile than the share price of a company that stays around the same value.